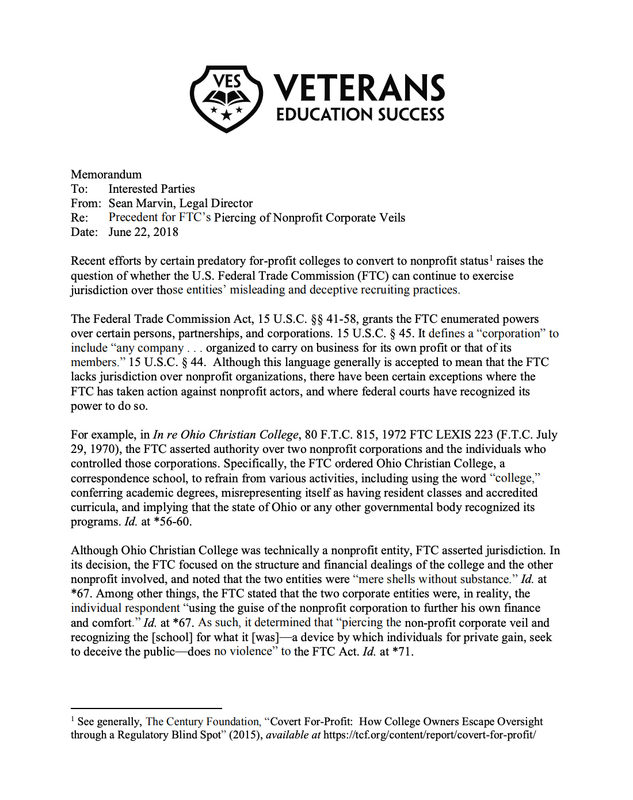 Recent efforts by certain predatory for-profit colleges to convert to nonprofit status1 raises the question of whether the U.S. Federal Trade Commission (FTC) can continue to exercise jurisdiction over those entities’ misleading and deceptive recruiting practices. The Federal Trade Commission Act, 15 U.S.C. §§ 41-58, grants the FTC enumerated powers over certain persons, partnerships, and corporations. 15 U.S.C. § 45. It defines a “corporation” to include “any company . . . organized to carry on business for its own profit or that of its members.” 15 U.S.C. § 44. Although this language generally is accepted to mean that the FTC lacks jurisdiction over nonprofit organizations, there have been certain exceptions where the FTC has taken action against nonprofit actors, and where federal courts have recognized its power to do so.